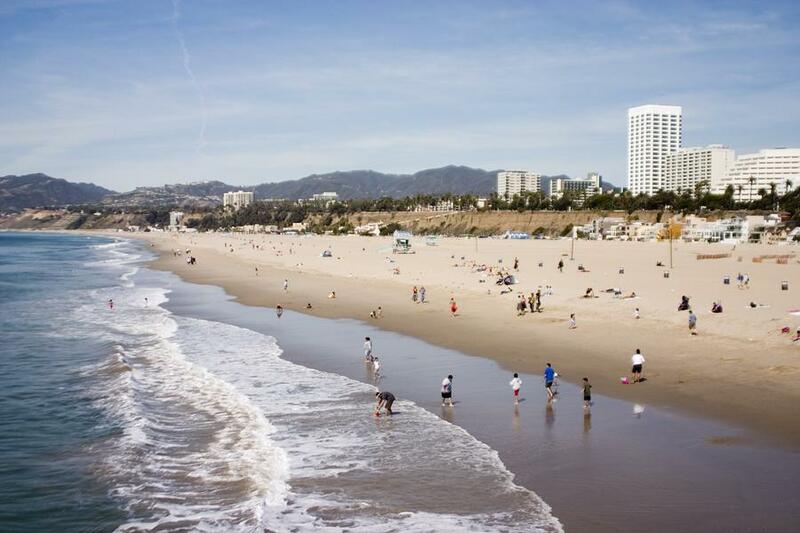 Southern California is renowned for its endless summer, however you might be surprised to learn that from Malibu to the South Bay, there are a great range of Los Angeles beaches within 30 to 45 minutes of downtown LA. Located on the Pacific Coast Highway, Leo Carrillo State Beach is the perfect getaway and offers more than a mile of beach home to tide pools, sea caves and a number of other beachcombing treasures. Located approximately 10 miles northwest of Malibu, El Matador Beach is a romantic spot with plenty of seclusion and some of the clearest water of any of the Los Angeles beaches. Although there aren't a lot of facilities, the robust waves, rocky shores and hidden coves are perfect for enjoying with someone special. Not far away in Malibu, Surfrider Beach is unsurprisingly the best place to zip on your wetsuit, wax up your board and hit the waves. Offering a cool vibe, you don't even need to be a surfer to enjoy the beach, however it is a popular spot so can sometimes get crowded. 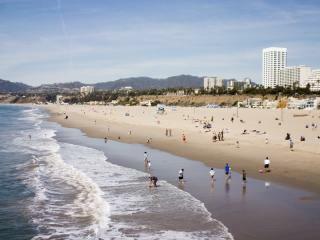 Santa Monica Beach is perhaps the most famous of the Los Angeles beaches and this classic stretch of sand offers more than just fun in the sun. 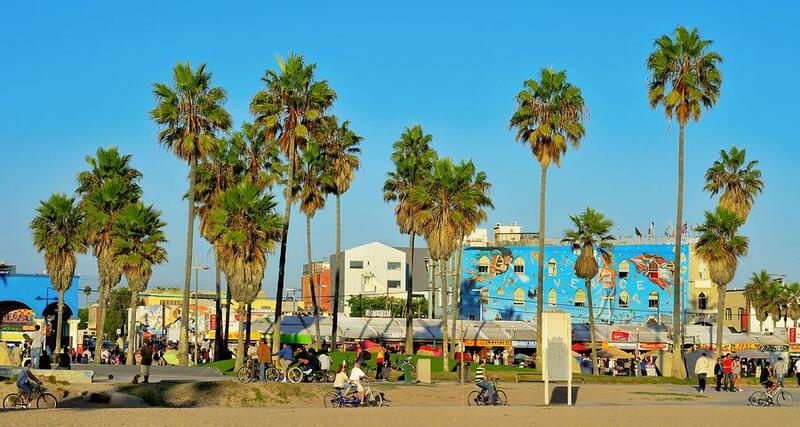 There's plenty of outdoor activities on offer including surfing if you're up for it, however there's also the historic Santa Monica Pier and iconic Pacific Park amusement park. 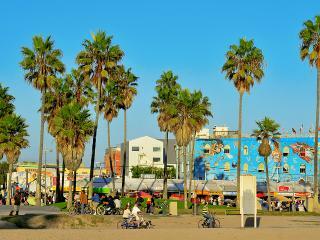 Similarly, Venice Beach is another famous LA beach known for its people watching and as the place to see and be seen. A quirky spot, the Ocean Front Walk is fantastic and visitors can expect to come across roller bladers, palm readers, chainsaw jugglers, body builders and a range of colourful characters. Similar to the area of New York, Manhattan Beach is a trendy spot where you're likely to see big sunglasses, shiny cars, little lap dogs and the 'beautiful people'. However don't let that stop you, there's plenty to enjoy including beach volleyball and an aquarium where you can see and even touch some interesting sea creatures. Hermosa Beach has more of a hipster vibe with plenty of shopping and al fresco dining on offer however still expect to see bronzed beach gods and goddesses. Pier Plaza is a great place to hang out when you're ready for a break from the surf and the sun. Finally, Cabrillo Beach is a popular beach with families thanks to its calm waters, great facilities and the nearby Cabrillo Marine Aquarium where you can enjoy interactive exhibits including tide pool touch tanks. The beach itself has two sides so depending on whether you want to just relax or enjoy a bit of adventure, you can pick a side to suit. The outside breakwater is ideal for surfing while the side that opens to the harbour is much more relaxed.